New Literacy Mid-South director says illiteracy is a bigger problem than most think. 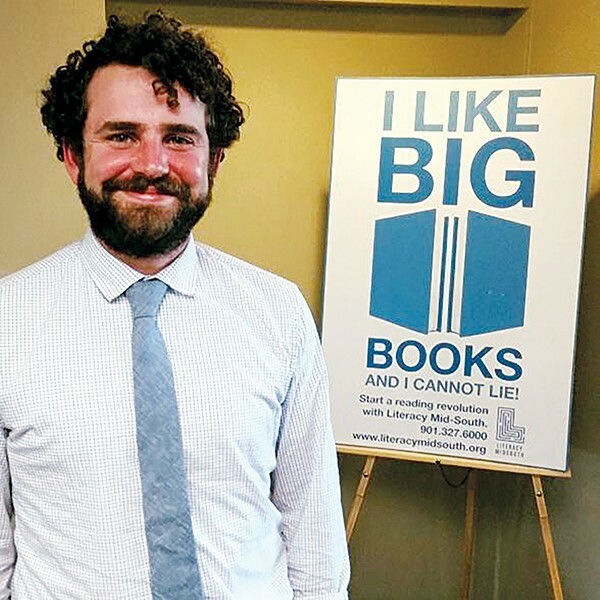 Literacy Mid-South, the nonprofit organization that hustles to provide literacy resources to Mid-Southerners regardless of age, has recently acquired a new executive director, Knox Shelton. Shelton, who visited Memphis frequently as a child with his family, told his mother at the age of 6 that he would move to our fair city as an adult. After graduating from college, he made good on his promise and secured a job with the Boys and Girls Club of Greater Memphis. Shelton became immediately immersed in what he describes as collaborative and innovative efforts by nonprofits all over town that had the overarching goal of addressing systemic problems among the disenfranchised. Knox Shelton, the new Executive Director of Literacy Mid-South. Flyer: In your assessment, what is the level of literacy in Memphis, for children and adults, right now? Knox Shelton: It's terrifying. A lot of progress is being made, but some of the most recent scores released by the state of Tennessee show that, yes, some progress is being made in some of our schools, but we are nowhere near where we need to be. For adults, I didn't realize just how many adults were struggling to read. I didn't know that one in seven Memphians were reading at or below a third-grade level. Do you think Memphians, in general, have a grasp on how serious this problem is? Probably not, because if you hear that someone reads on a third-grade level, you don't think about the fact that they probably can't read a prescription label or accurately read a bus route map. You might understand that they have trouble filling out a job application, but there's so many other things that you can't do, that we might not often think about. It's a quality of life issue, and I don't think people look at it that way. Do you have any new programs down the line that you want to launch? I wouldn't say you could expect any new programs, but you can expect some changes, as we are far from fixing what our community is facing. In particular for the kindergarten through third-grade reading, there are so many factors that affect a child's literacy level. It's not just making sure they are exposed to reading. It's making sure they are getting the proper health care. It's making sure their eyesight is checked. Even dental problems among kids can interfere health-wise with their ability to learn. With all of those factors in mind, we're going to really be looking to bring in a lot of health organizations into our network, so we can really get health-care assistance to our kids. What additional support, besides funding, does LM need from the city of Memphis? It's really a community buy-in. It's something that shouldn't be limited to just our partner organizations. We need church congregations, we need parents and grandparents to pitch in ... Everyone needs to be aware of just how serious this problem is for our city. We need everyone to buy into this, because everyone can play a role in fixing this problem.